Every lawn is different which is why Masport has developed a comprehensive range of lawn and garden equipment. 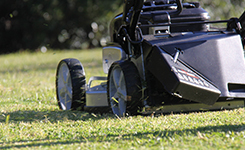 Masport mowers have been designed to meet the needs of the heaviest lawn conditions and the longest mowing times, therefore they are built to last. 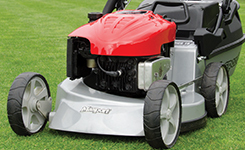 The models in the Masport range are feature rich, innovative and truly high performance mowers. Regardless of whether you see taking care of your lawn as a pleasure or a chore, Masport has the equipment to help you realise your vision, while suiting your lifestyle and budget. 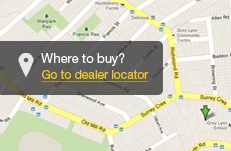 Proudly designed and engineered in Australia and sold all around the world. Hose fitting point on the housing to clean the housing while the mower engine is running, increasing the life of the chassis and improving cutting efficiency. 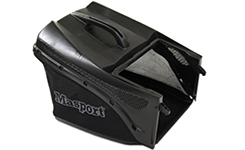 Reduces the risk of dust getting in the engine resulting in less air filter services. 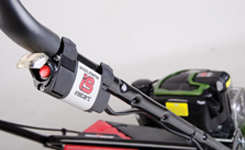 Mowing is even easier with the electric start - turn the key and start mowing. 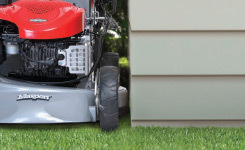 Briggs & Stratton's InStart™ lithium-ion electric start engines, take the guessing game out of starting your lawnmower. No more priming, choking or pulling the rope simply push a button to start the engine. Masport's ball bearing wheels make the mower easy to push and with a threaded axle and nut the wheels can easily be adjusted if they become loose after significant use. 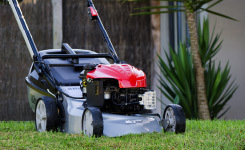 Mow without the catcher, and avoid the messy grass clumps. 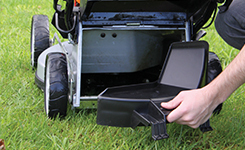 The patented Masport Smartchute® will side discharge a clean spread of clippings as you mow to leave your lawn looking wonderful. Just engage the unique feature and begin mowing. 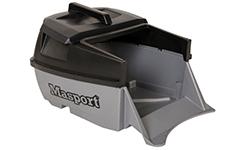 The Masport Chipperchute is an innovative development in lawn mowing that means your mower can do more than cut grass. The Chipperchute actually chips branches up to 35mm in diameter using the additional chipper blade and turns them into useful mulch. As branches are chipped the chips are fed back into the catcher so you can put the mulch into your compost or garden. Naturally recycles the grass by recutting it and feeding it back into your lawn. The conveniently positioned starter cord eliminates the need to bend all the way down to pull-start, reducing the risk of back strain. 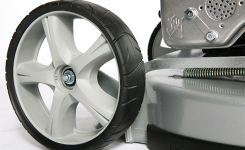 With the blade coverage extending beyond the wheel width on both sides, the mower can cut closer to walls, kerbs and fences, giving a cleaner finish to your lawn. Combination of Catch and Mulch options on these mowers. These mowers have a combination of catch, mulch and side discharge options. These mowers have a combination of catch, mulch, side discharge and chip options. 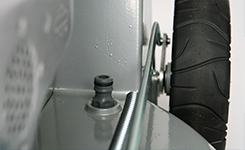 With the Handle Lift System, removing and re-installing the catcher is so easy. Just press down on the foot pedal to release the handle! 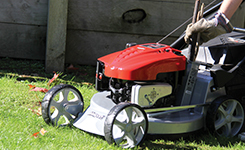 Let the mower do the work, These models are fitted with a self drive system, all you need to do is squeeze the handle. For superior cutting, mulching and catching performance Masport mowers are fitted with unique blade cutting system. 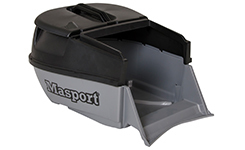 The Masport Quickcut® blade is a top quality specially designed blade for cutting and mulching. 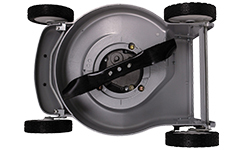 This blade system runs four swing back blades suitable for catching and mulching applications and is fitted on Masport steel chassis catching and mulching models. The Quadcut contoured disc is fitted to most aluminium and heavy duty steel chassis models including the MSV® range of lawnmowers. 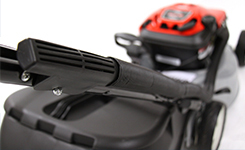 The Quadcut swing back blade system has increased airflow, great for catching and mulching performance. 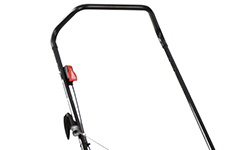 The additional chipper blade allows your mower to chip branches up to 35mm into garden mulch, when fed through the mower via the Chipperchute. One piece mulching blade for efficient cutting and mulching. 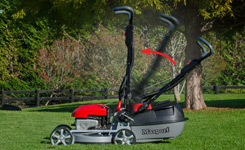 Both the Masport Quickcutt® and Masport Quadcutt® 4 blade disc system blades have a swingback feature, designed to protect the crankshaft from damage should the mower hit a solid object. A sturdy long lasting high density polyethylene plastic catcher that holds 46 litres of grass clippings. Sturdy long lasting high density polyethylene plastic catcher that holds 42 litres of grass clippings. Some of these plastic catchers have a 'full indicator', allowing the operator to gauge how much grass is in the catcher. 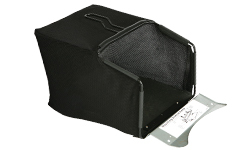 A stylish combination plastic and fabric extra large catcher which can hold 60 or 65 litres of grass clippings. This catcher is well vented to provide superior catching performance. 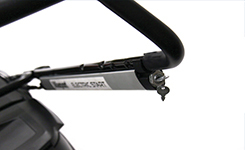 Light weight fabric catcher on a sturdy steel frame. Well vented for excellent performance. Sturdy handle with upturned design for added comfort. 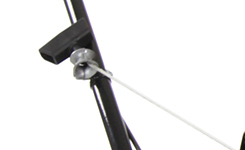 Ergonomic adjustable height handle with soft grip. 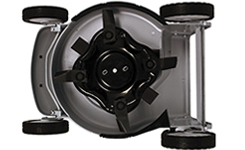 Allows your handle to fold down for storage or transportation. 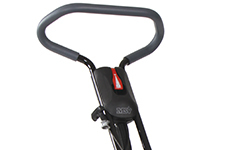 Allows for quick and easy fold down of the handle for storage or transportation of your mower. Multiple handle height adjustment to combat back strain. Easy fold down for storage. Impact resistant soft grip for added comfort.